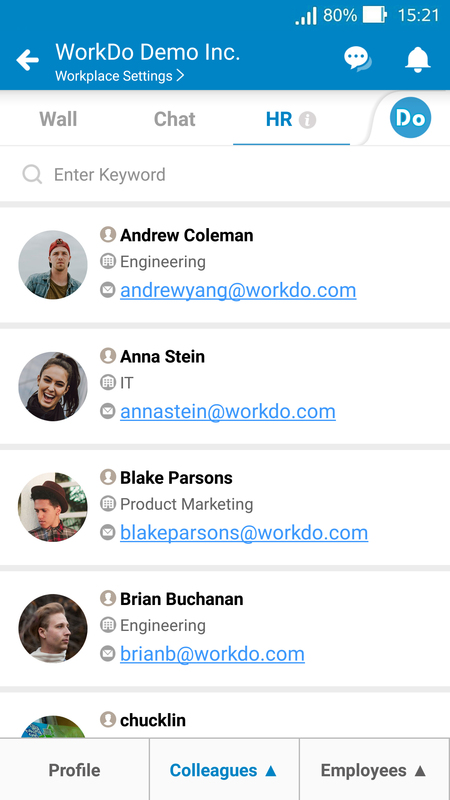 WorkDo all-in-one business productive app can effectively eliminate all your team communication, collaboration, administration and operation obstacles by providing an integrated and centralized platform for your entire team. 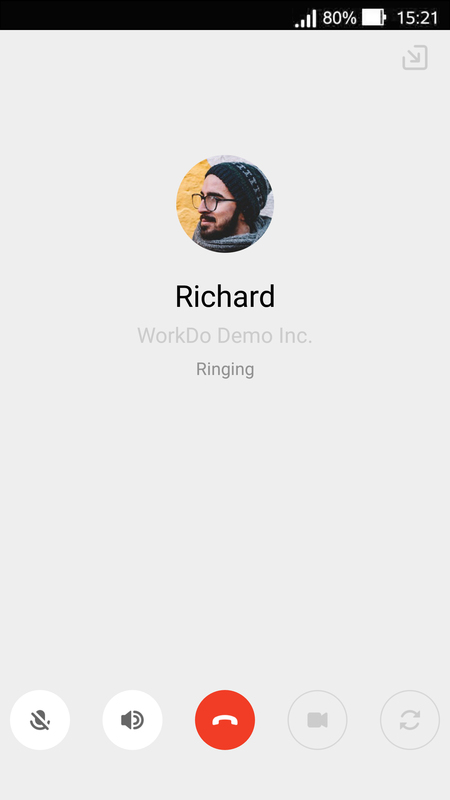 WorkDo will change the way your work and the way you approach work! Chats tool allows you to instant contact members. 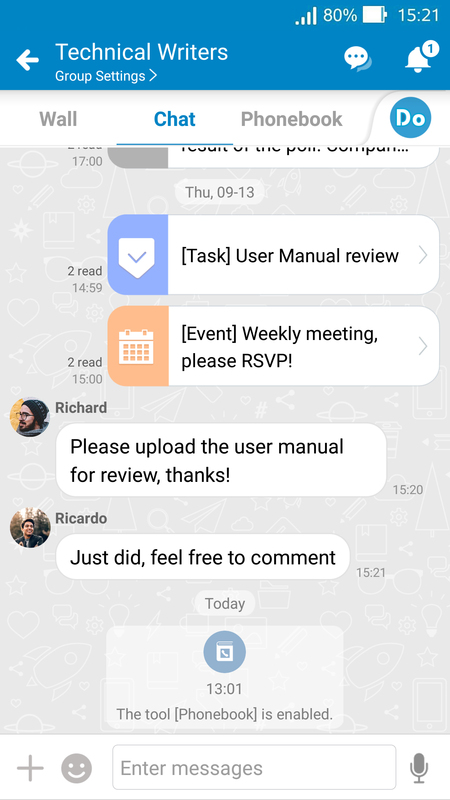 In addition to one-on-one and group chats, you can send images, audio messages and copy messages to create tasks and notes within the chatroom. ♦ Supports multiple devices so you won't miss any chat messages. ♦ Press the + button to see shortcuts to send images, location and audio messages to the chatroom. 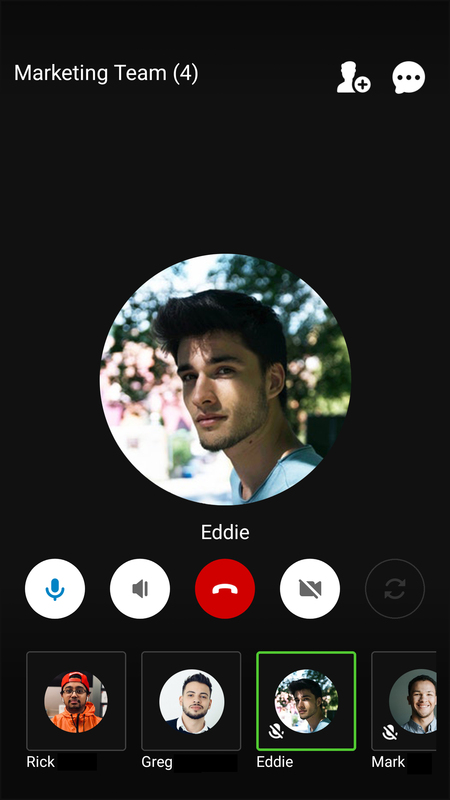 ♦ Audio call and video call are available. ♦ Automated notifications to chatroom members when notes, tasks, events, files polls and album are created or edited. ♦ Copy messages to a task or a note. ♦ The + button also has shortcuts to create note, task, event, poll and upload file. ♦ Long press to copy, forward, recall (if you are admin) or delete chat messages. ♦ Community/workplace, groups and buddies all have individual chatrooms. ♦ Add buddies to join on-demand chatrooms. The audio call allows you to call your buddies at any time without increasing your personal or company phone bills. Make a direct call to connect and communicate effectively with your buddies. ♦ Supports mobile and web versions. ♦ Make use of audio calls for better communication. ♦ The quickest way to get messages across or get things done. ♦ Reduce the cost of your phone bills. 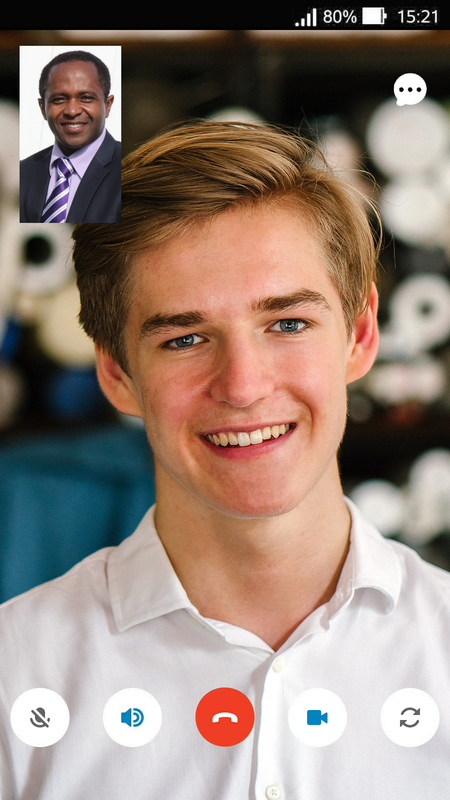 Video call allows you to call and see your buddies at any time no matter where they are. Distance will no longer be an issue in face-to-face communication with your buddies! ♦ Supports mobile and web versions. 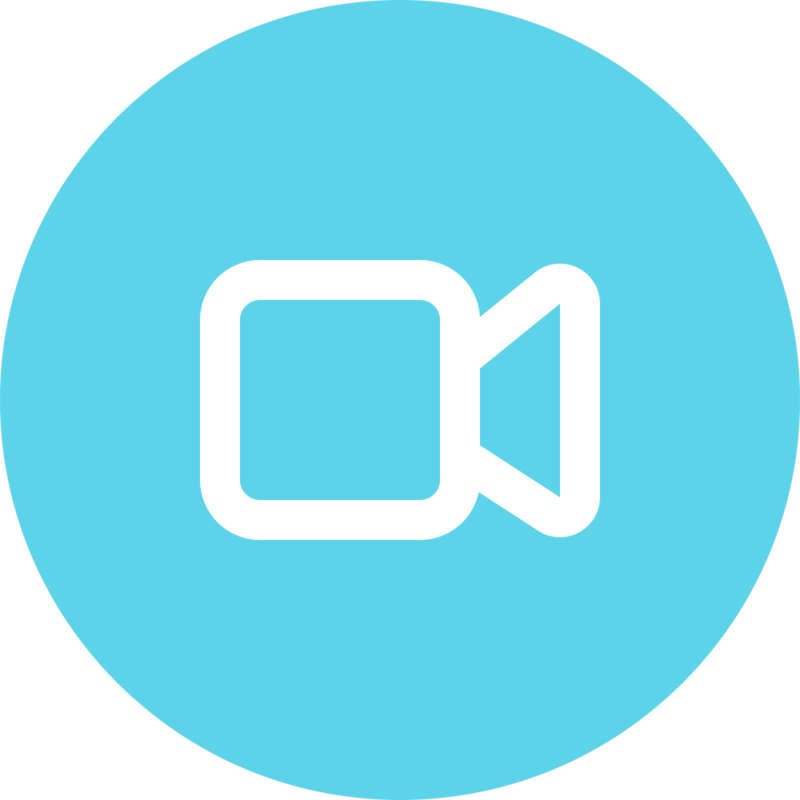 ♦ Make use of video calls to enhance communication. ♦ An excellent substitute for video conferences. ♦ Reduce the cost of your phone bills. Efficiency, efficiency, efficiency! If you can talk it out, don't waste time waiting for replies! Use video or voice Group Call whenever you want to host a meeting and quickly resolve urgent issues. ♦ Both web and mobile versions are supported. ♦ Call up to 10 users at once. 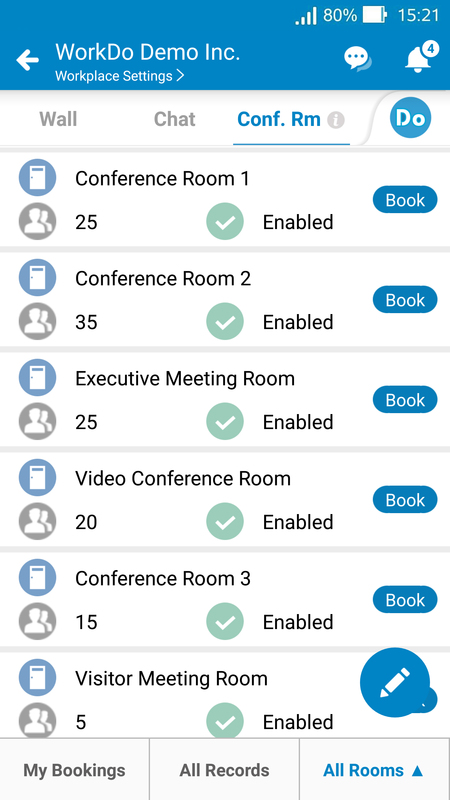 ♦ Choose video or voice group calls with no talk time restrictions. ♦ Call your teammates for instant support at a moment's notice. 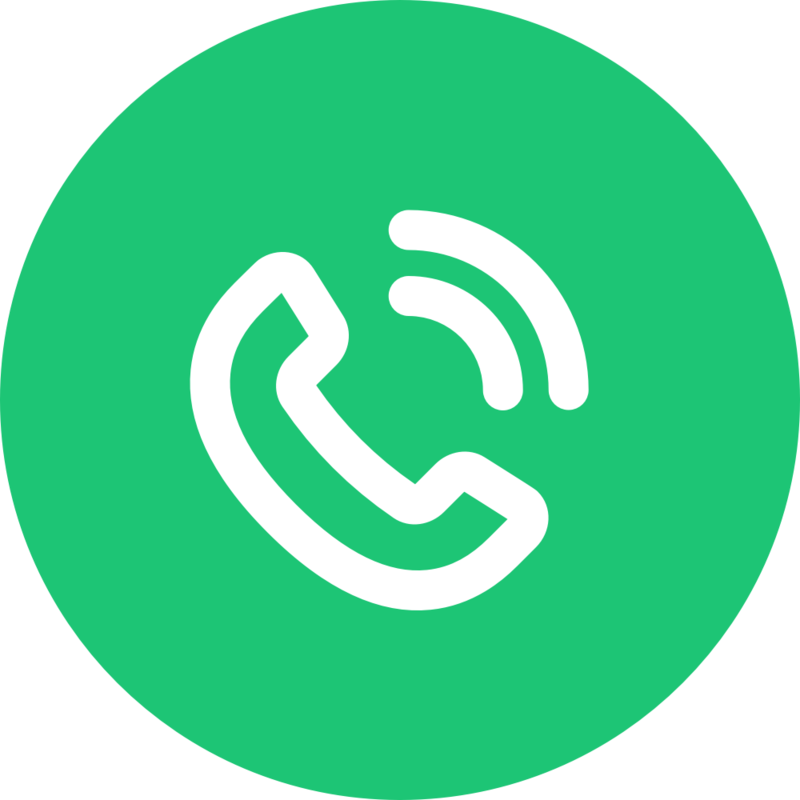 ♦ Free calls via a mobile network connection. 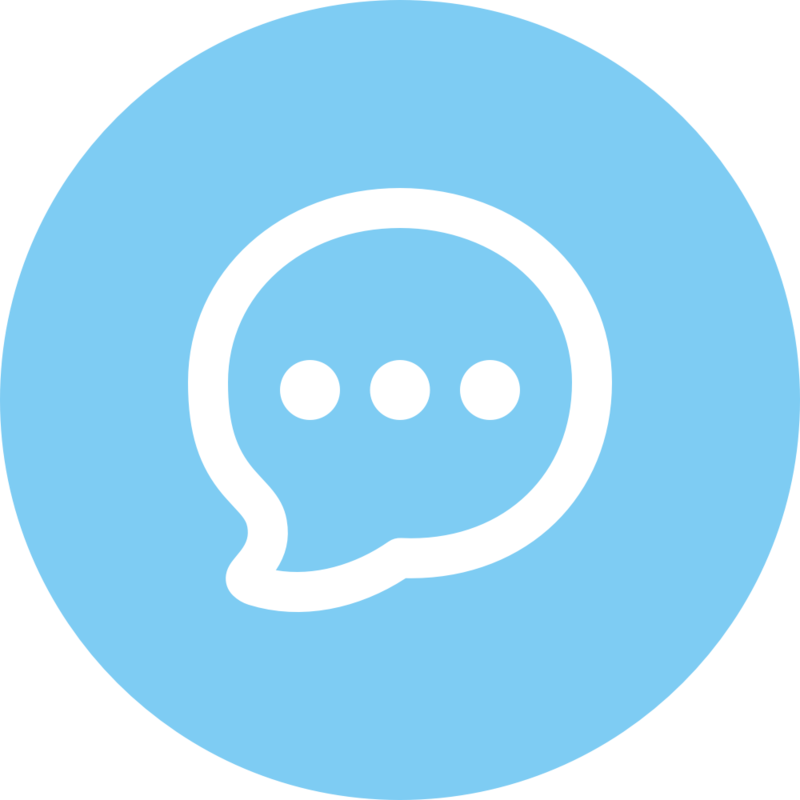 Make an important announcement, discuss urgent issues, share information, post a set of company policies or simply say hello to everyone within the community/workplace is easy using Notes! 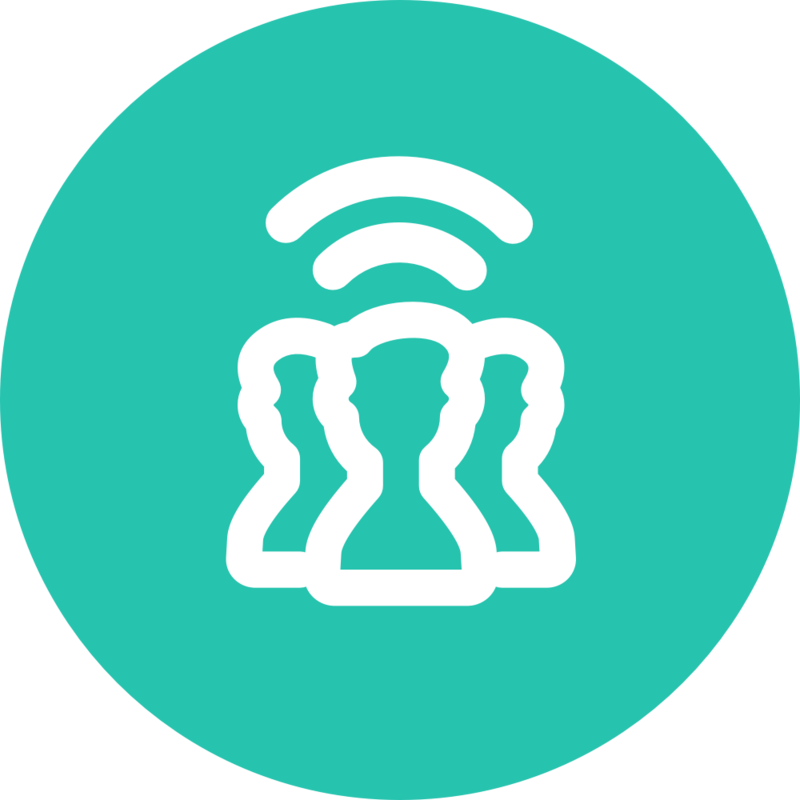 ♦ Broadcast announcements, policies or important issues. ♦ Attach images, URL, and files. ♦ Read receipt shows who has read your announcement. ♦ Send a reminder to members to make sure they have read the note. ♦ Forward, share, like or comment on a note. ♦ Mention members using @. ♦ Notes can be pinned to the top of the wall. Time is important. Use Events to quickly arrange a meeting or a company get-together. With vital information such as event time, the list of attendance and location. ♦ Invite all members or specific members. ♦ Include the location with a map or choose a conference room. ♦ Attach images, URLs, files and memos to the event. 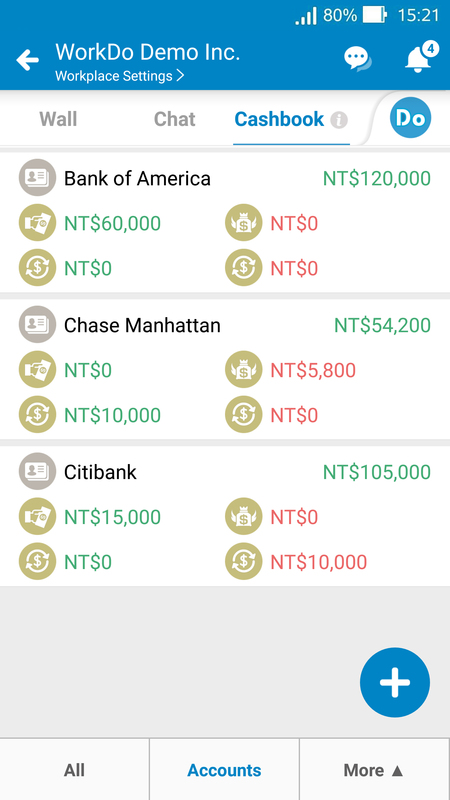 ♦ Events tool is linked with the Conf. Rm. tool. ♦ The invitees can instantly respond. 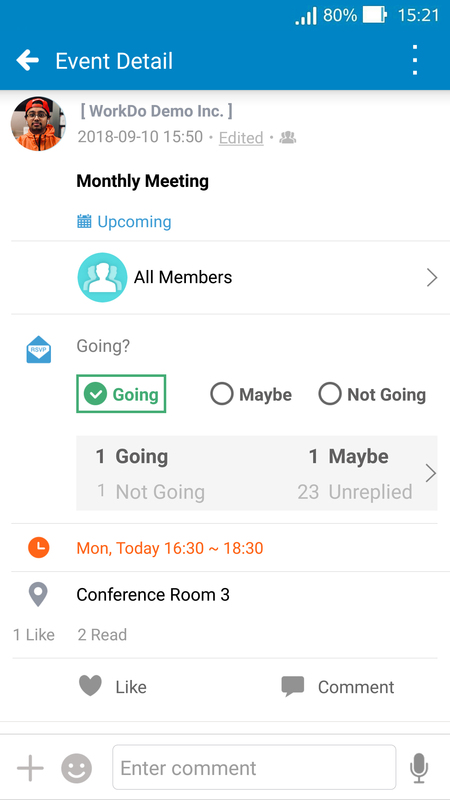 ♦ Inviter can check the list of attendance and send a reminder to those who have yet to respond. ♦ Set event reminder alarm. ♦ Events can be pinned to the top of the wall. ♦ Events can be discarded. Precious moments? Important designs? Event pictures? 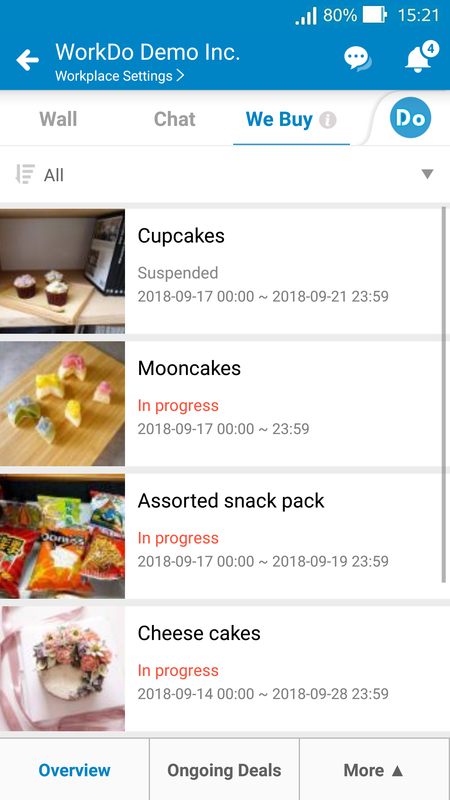 Use Albums to keep a record of everything! Share the photos with your community/workplace or team members for work events or projects! It is one of the most direct ways of communication. 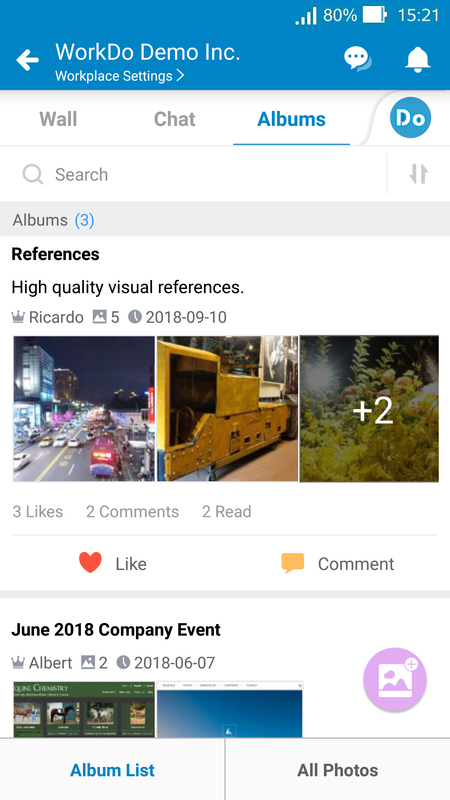 ♦ Keep a record of your projects using albums and photos. ♦ All members can create albums. ♦ All members can upload and download photos. ♦ Members can only delete own photos and albums while admins can delete all photos and albums. ♦ View photos by album or just by all photos. ♦ Add comments to individual photos or albums. 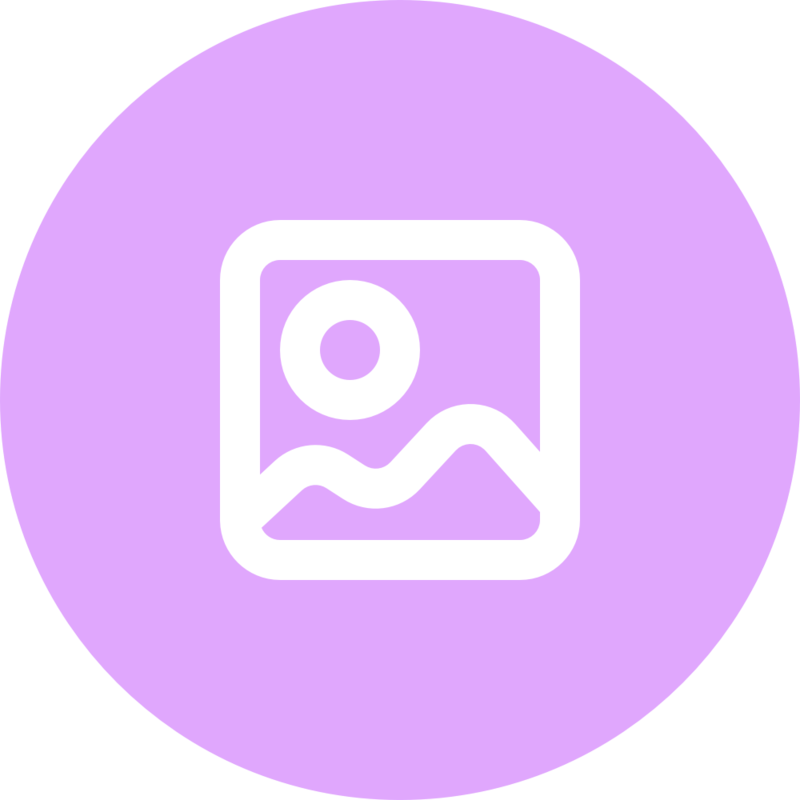 ♦ Photos can be moved from one album to another. No need to have extra storage space or use another app for file management. 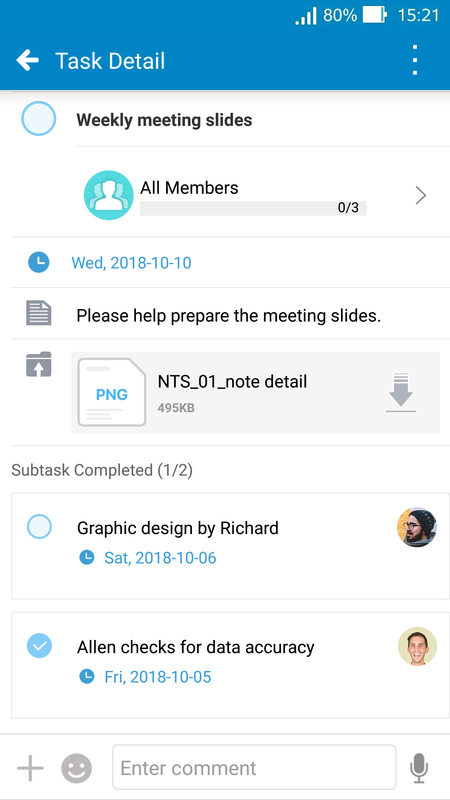 Files tool allows you to upload files from your mobile device or computer to share within the community/workplace, groups or with buddies. ♦ Upload files from your mobile device or computer. 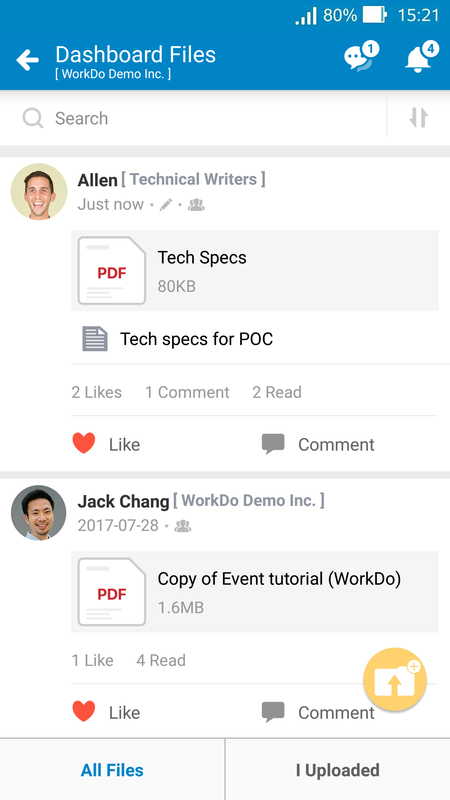 ♦ Share files with your team members. ♦ Supports multiple file types and members can download at any time. 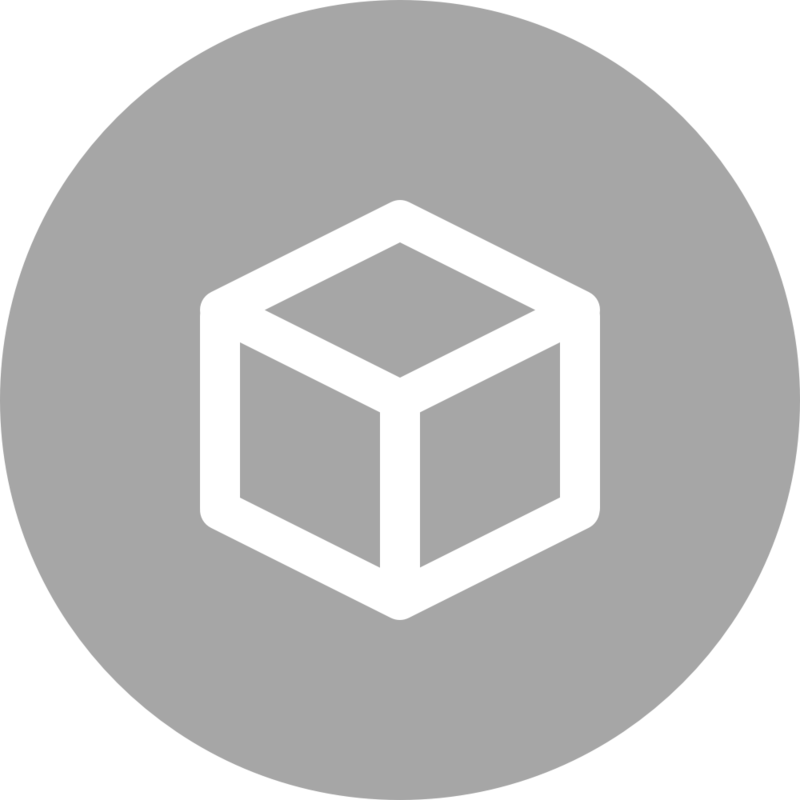 ♦ Add description to the files for better communication. ♦ Auto check for files with duplicated names. Let Polls help you to make tough decisions or conduct a fair vote! There are different types of polls you can choose such as single choice, multiple choice, secret vote or hide vote count until poll ends. Check the poll status at any time. ♦ Set the voters. ♦ Set single choice or multiple choice polls. ♦ Set a poll end time. ♦ Choose to show voters' choices. ♦ Choose to allow voters to add new options. ♦ Set to hide vote count until the poll ends. ♦ Send a reminder to those who have yet to vote. ♦ Polls can be pinned to the top of the wall. ♦ Polls can be closed or discarded. An easy and simple way to manage the employees within your workplace by using the HR tool. 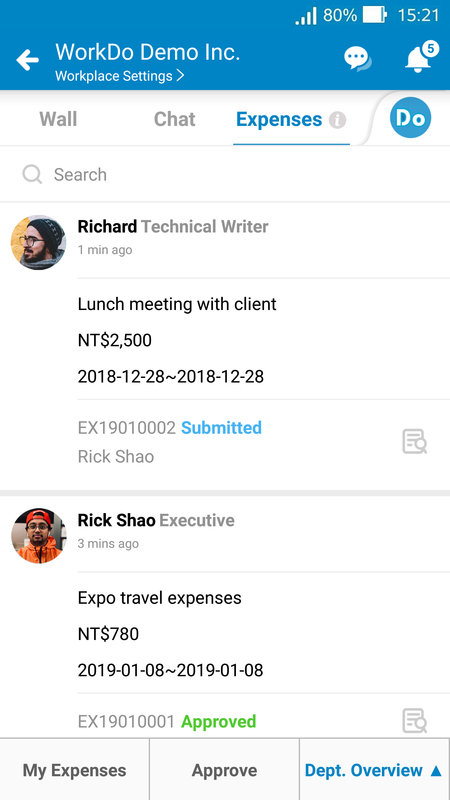 Manage employee profiles and set up an organizational structure for other tools such as Leave, Attendance, Expenses and Approvals. ♦ HR is the basis for Leave, Leave Pro, Attendance, Expenses and Approvals. ♦ Set organizational structure and manage employee profiles. ♦ Manage the company calendar. ♦ Set line manager or dotted-line manager. 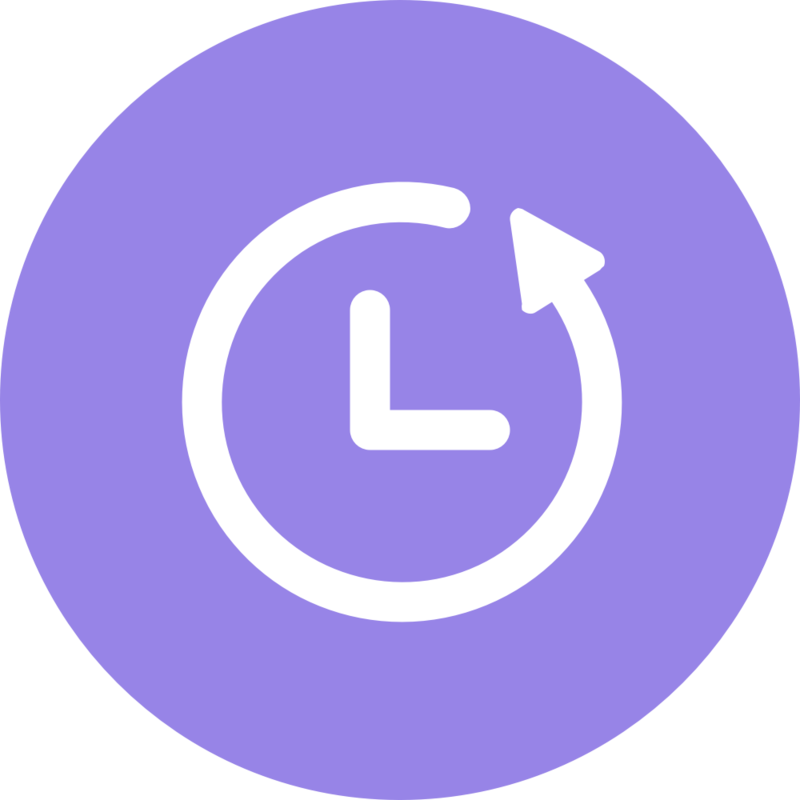 ♦ Set multiple work hours sets that connect to multiple clock in/out times for different employees. ♦ Set deputies for employees and designated approvers. ♦ Employees can quickly check coworkers' contact information. ♦ HR Staff can quickly locate changes made to the employee profiles. ♦ HR Staff can quickly generate and export HR-related reports. Apply for leave should be a breeze. 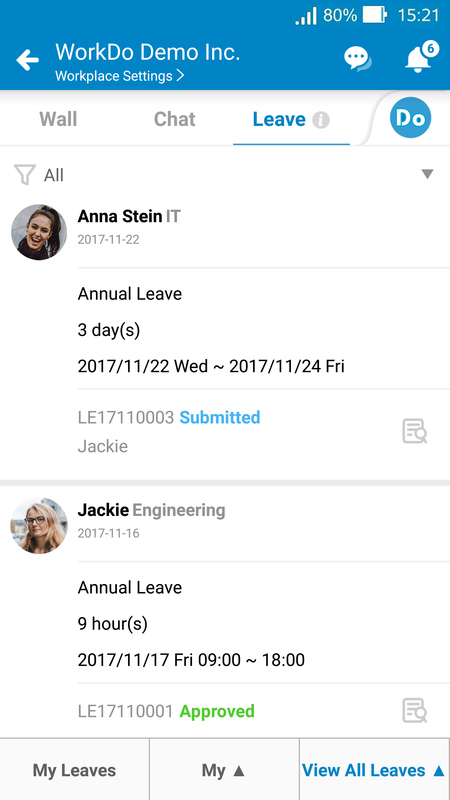 It would be much easier to apply leave using your mobile device while managers can manage the team's leave status quickly. 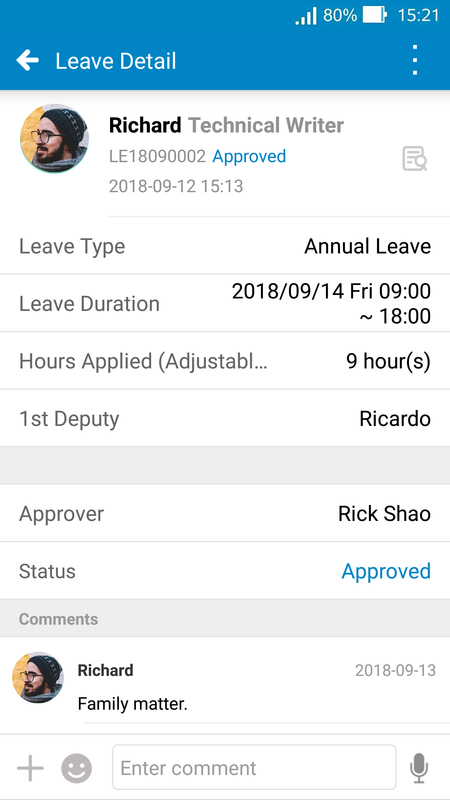 (This is the basic version of leave, for advanced version, please see Leave Pro) ♦ Suitable for companies that need a simple leave management tool for record keeping. 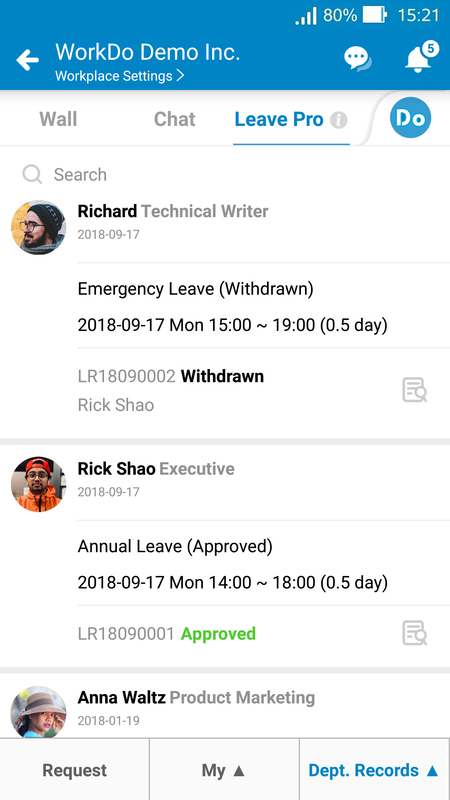 ♦ Connected to the HR tool, managers can start approving leave requests immediately after being assigned. ♦ Automated email notifications for applicants to save communication time. ♦ Supports multi-level approvals. ♦ Supports full day, half day, full hour and half hour leave requests. 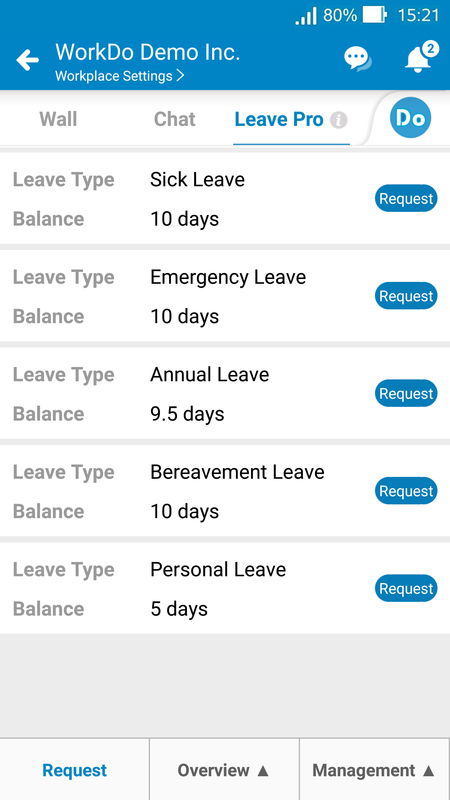 ♦ Set leave types such as sick leave, special leave and annual leave. ♦ Different tool roles can see different records such as personal, department or all records. ♦ Applicants can leave a comment in the request form for better communication. ♦ Leave summary report can be exported. Upgrade Leave for Leave Pro! 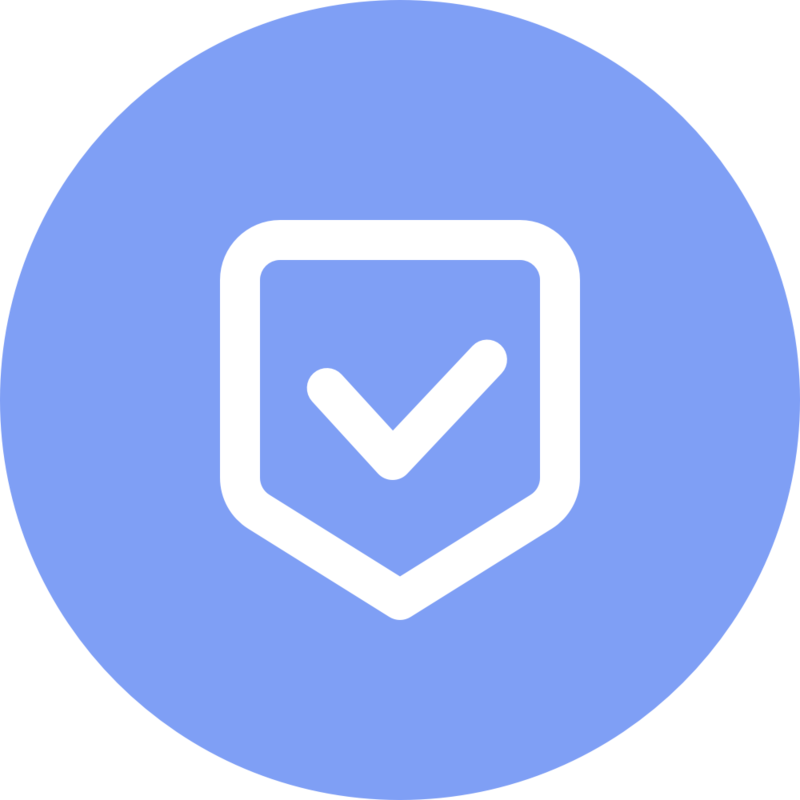 Leave Pro is the advanced version of Leave with additional functions such as automatically grants leave quota to employees, calculates carryover leaves and balances. ♦ More functions than Leave, suitable for companies with a more complicated leave system (please see the manual for details). 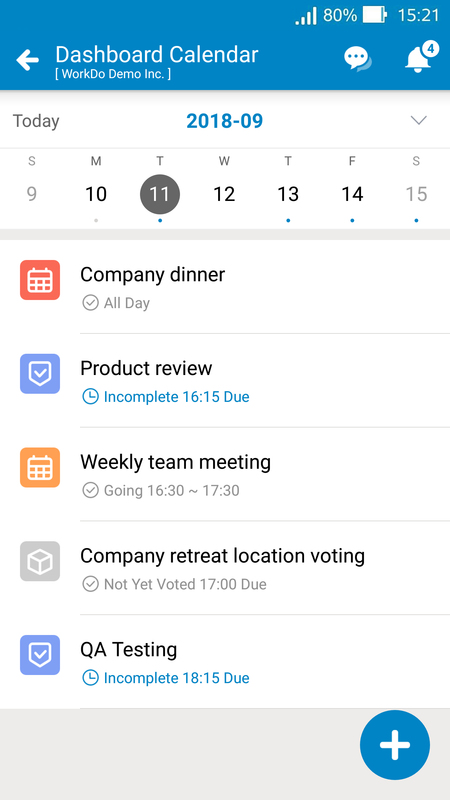 ♦ Connected to the work hours sets and company calendar in the HR tool with automatic calculations of balance when employees apply for leave. ♦ Automatically gives out corresponding leaves based on service time and seniority. ♦ Flexible leave types based on gender, employment type and specific employees. ♦ Set carryover rules. ♦ Set to deduct new leave quotas first or carryover first when employees apply for leave. ♦ Set rules for long leave, allow advance leave and the number of days for advance notice. ♦ Set leave types to automatically grant leave quotas monthly, annually or based on years of service. ♦ Manually adjust the duration of individual leave requests. ♦ Daily leave overview by email available for members to subscribe. Clock in and out have never been this easy! 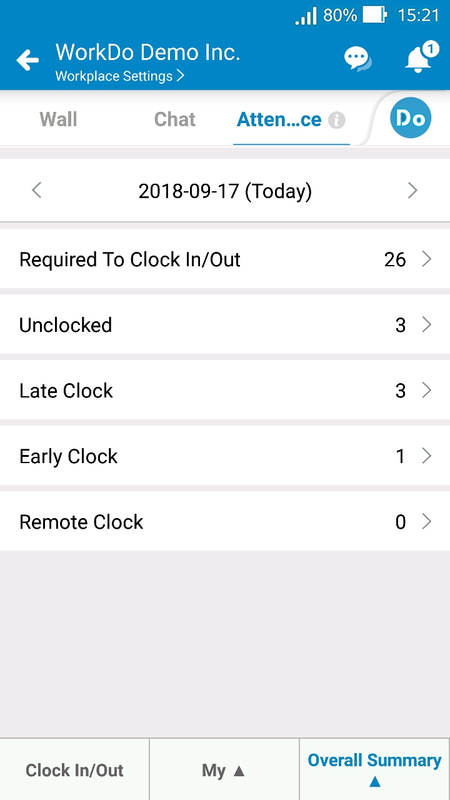 Attendance tool allows you to clock in and out using your mobile device or computer! You can set the remote clock in/out and allow members to clock in/out using WiFi hotposts or GPS. ♦ Clock with your mobile device or computer. ♦ Connected to the work hours sets in the HR tool. 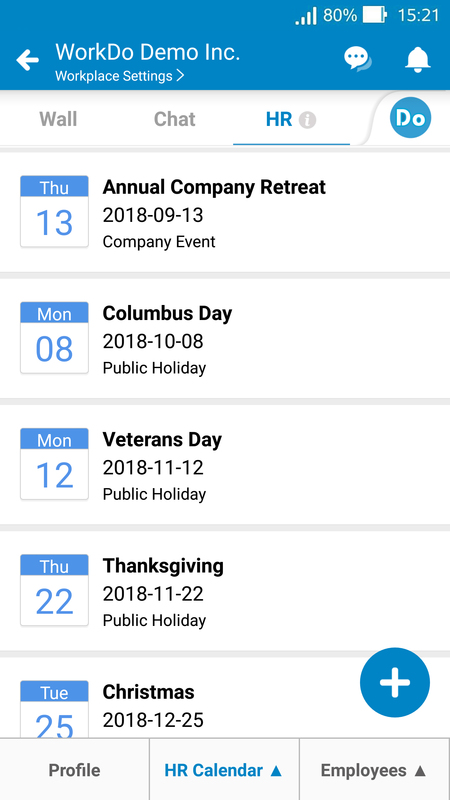 ♦ Follows the company calendar so you won't have to clock in/out on holidays. ♦ Set the in-office clock in/out only or allow remote clock in/out and the list of members that are required to clock in/out. ♦ Set clocking range using WiFi hotspots or GPS. ♦ Different tool roles can see different records such as personal, department or all records. ♦ Automatically calculate daily and monthly work hours. ♦ Set a personal reminder for the clock in/out time. ♦ Post clock are appeal available. ♦ Export clock in/out records report. Schedule work shifts efficiently with the Shift tool. 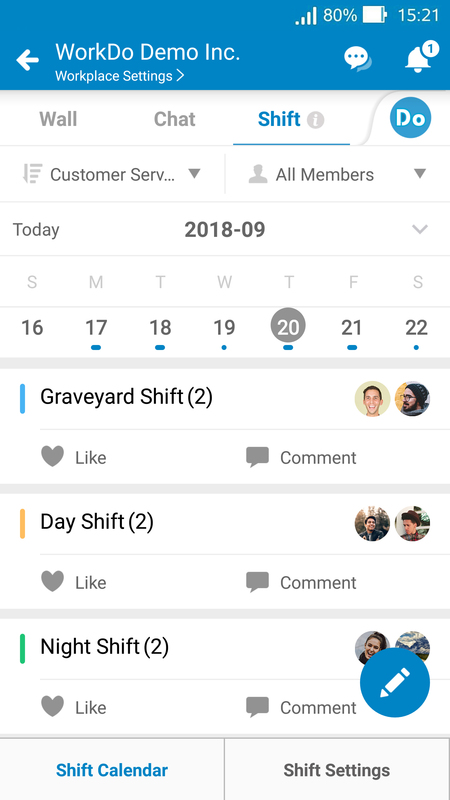 Employers can manage work shifts and review scheduled shifts at a glance while employees can check their shifts effortlessly. 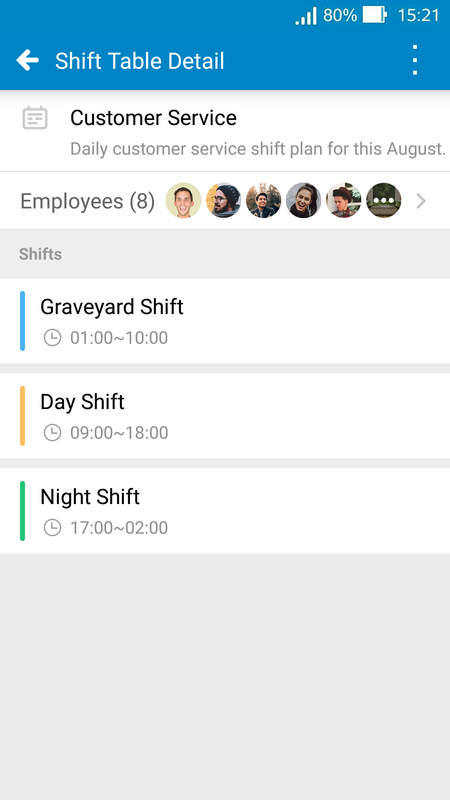 ♦ Manage multiple shift schedules. ♦ Independently manage employees and shifts on each shift schedule. ♦ Set daily shifts or set a predetermined period of shifts. 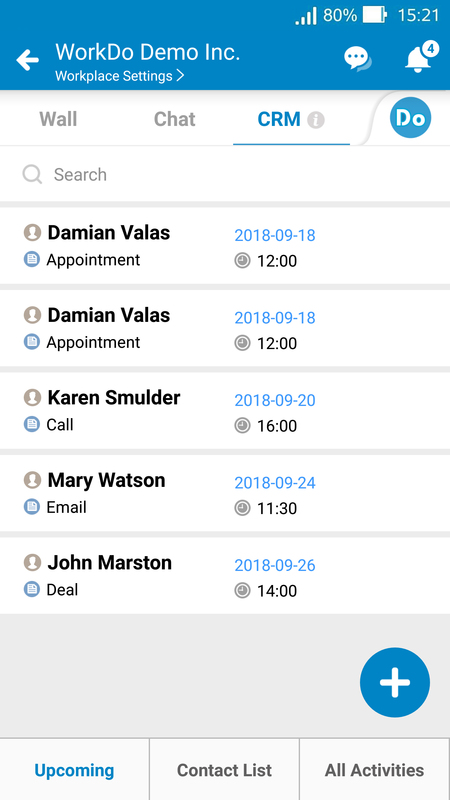 ♦ Notifies employees who have been scheduled a shift or shift changes. ♦ The administrator can review the shift schedule on a particular employee. 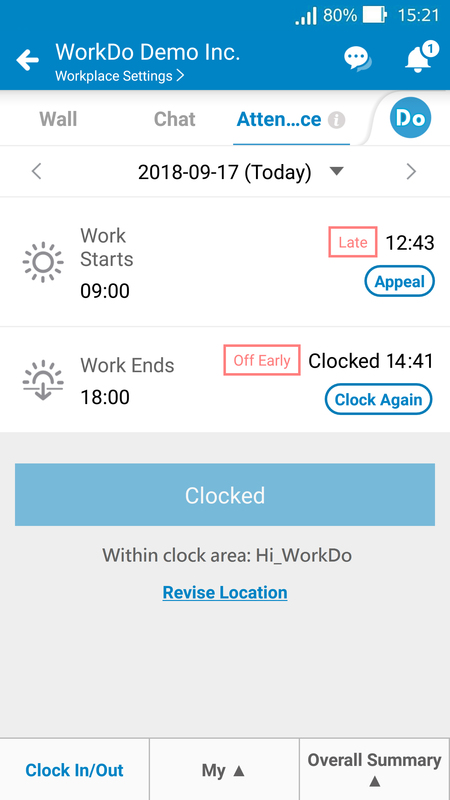 ♦ Employees can quickly verify their shifts with ease. ♦ Employees can leave comments or relevant information to their next shift. Overtime statistics and application are quick and painless with the new Overtime tool. Employees can send overtime applications in advance or afterward, signed by the head of the department, and then processed according to the company's overtime compensation rules. 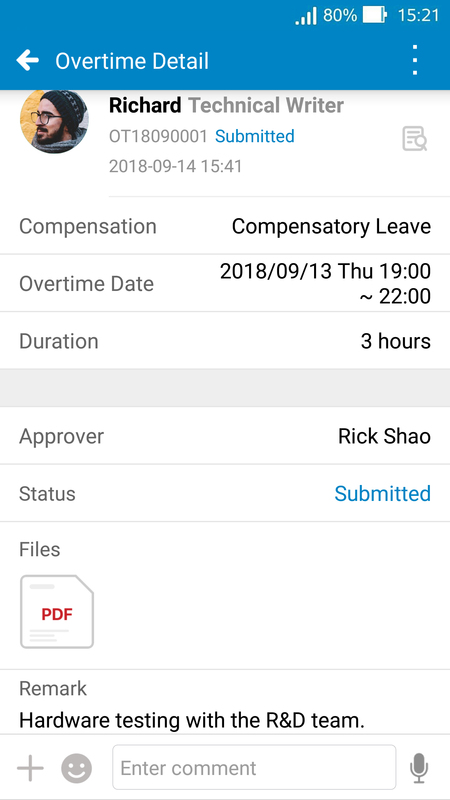 Managers can instantly read employee overtime records and get a detailed look at the overtime hours of employees put in. ♦ Overtime base unit in half an hour or an hour. 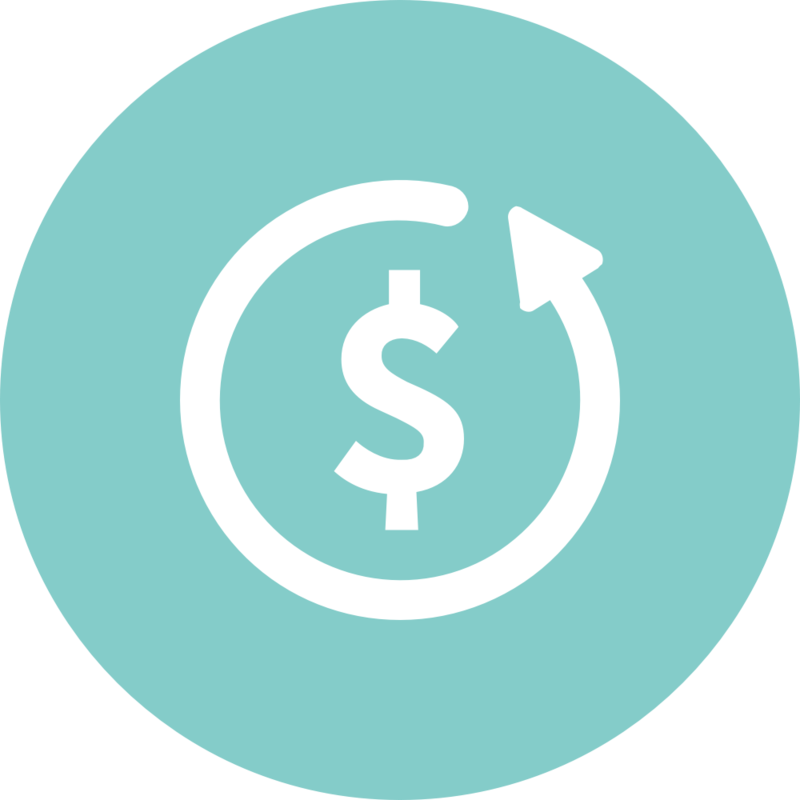 ♦ Set overtime compensation in overtime pay or compensatory leave. ♦ Set early notice for overtime application or after-the-fact, all customizable. ♦ Integrated with the HR function, the head of the department can sign off on it. 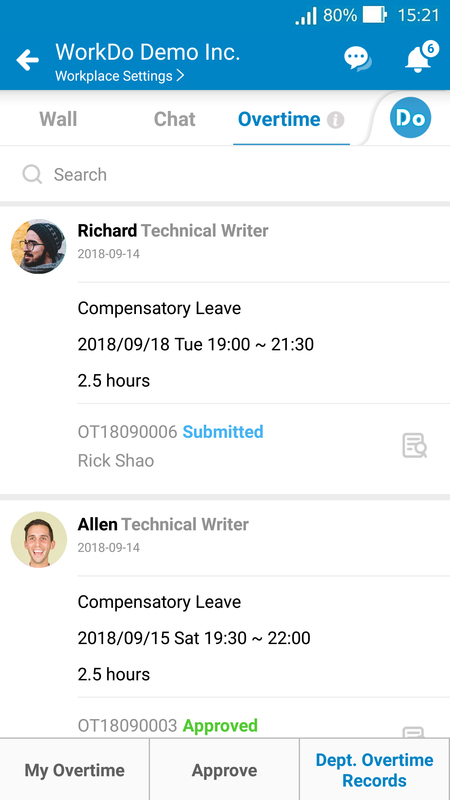 ♦ Send overtime applications any time via smartphone or computer. 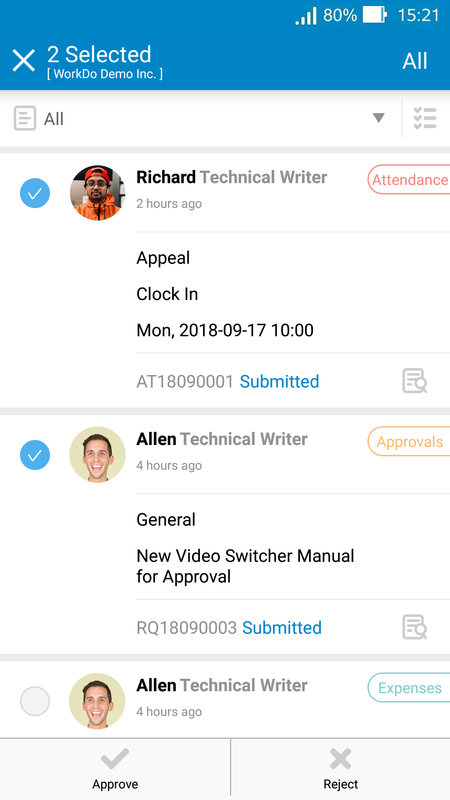 ♦ Instant notification to the supervisor for signing. ♦ Supports multilevel signing. ♦ Assign access rights for different roles. ♦ Direct communication between the applicant and the signatory in the overtime application. ♦ Remits annual record. Being environmentally friendly and a firm believer in simplified processes, our team provides the Expenses tool. 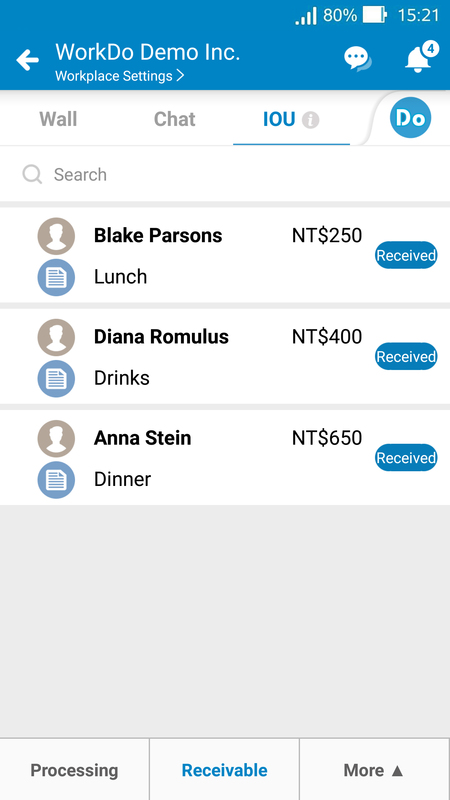 Manage expense requests just got easier as members can apply using a mobile device and accounting can manage the requests online! ♦ Default categories such as travel, transportation, meal, communication and more. 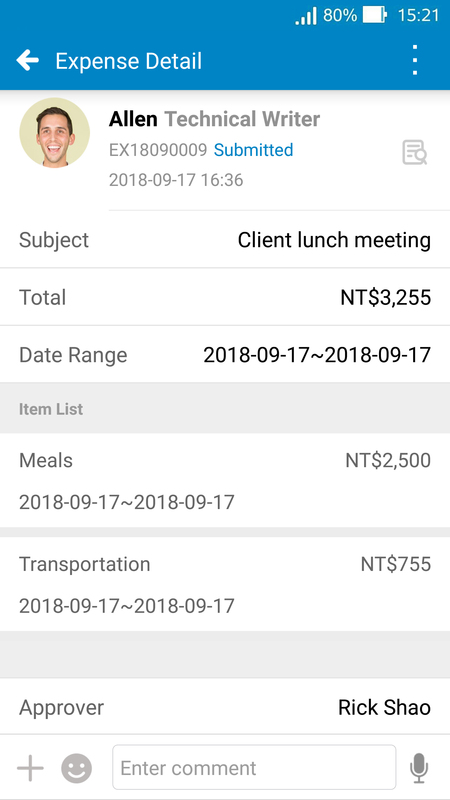 ♦ Self-define an expense category. ♦ Applying for the expense is simple using a mobile device or computer. ♦ Attach images and files to support the request. ♦ Save drafts or submit immediately. ♦ Choose designated approver or by organizational structure hierarchy. ♦ Connected to the HR tool, the manager can start approving requests immediately once assigned. ♦ Supports multiple levels of approvals. ♦ Email notification for applicants to save communication time. ♦ Once approved, can print out the request form with attachments for the accounting department. ♦ Leave comments within the request for better communication. 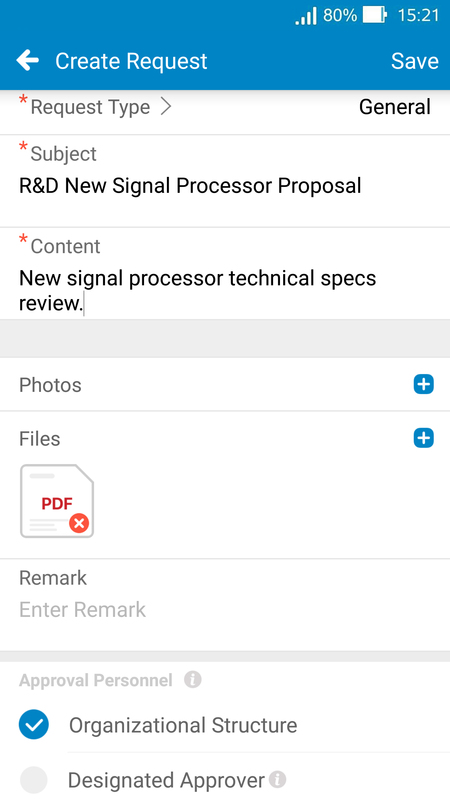 Send an approval request using one button to save time and communication! 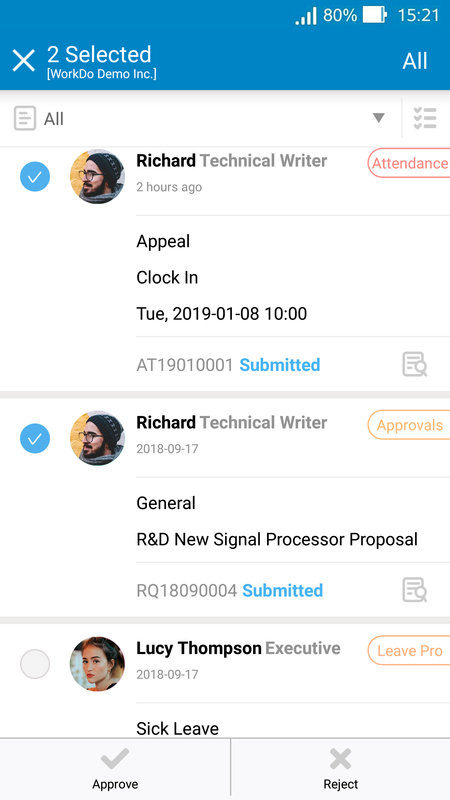 Use Approvals for projects or cross-department communication as you might need to get the approval of a project idea or special budget from the manager of another department or team! ♦ Get approvals from everyone related to the project. ♦ Self-define an approval category. ♦ Standardized approval form, can attach images and files. ♦ Save drafts or submit immediately. ♦ Choose designated approver or by organizational structure hierarchy. ♦ Email notification for applicants to save communication time. ♦ Leave comments within the request for better communication and print the request out for record keeping. 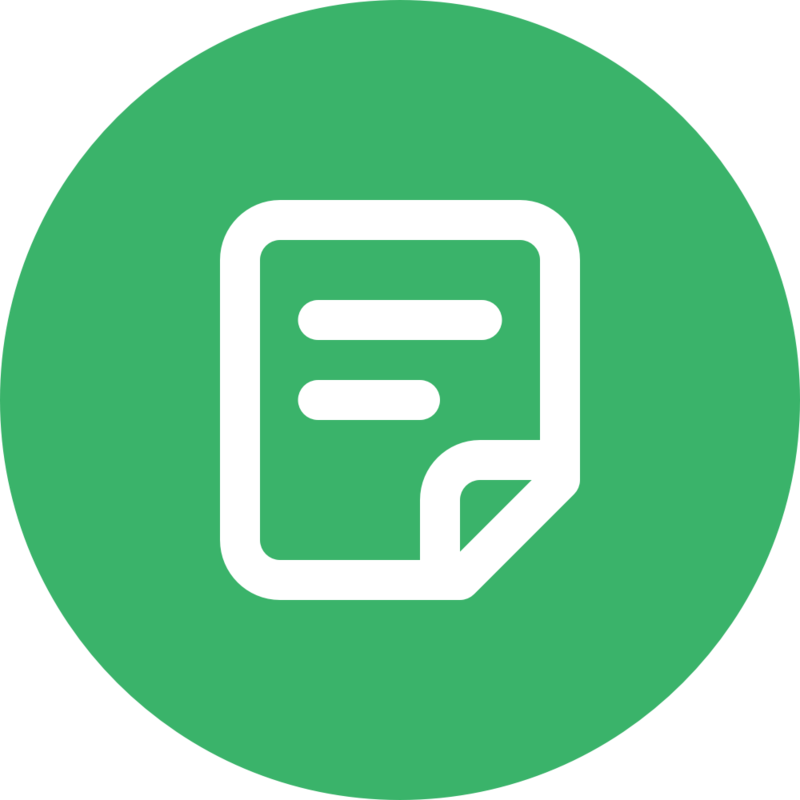 Document your client visits, report customer feedbacks, manage all customer information in a centralized hub for the entire workplace. Keep a record of all the activities with customers to increase customer satisfaction! 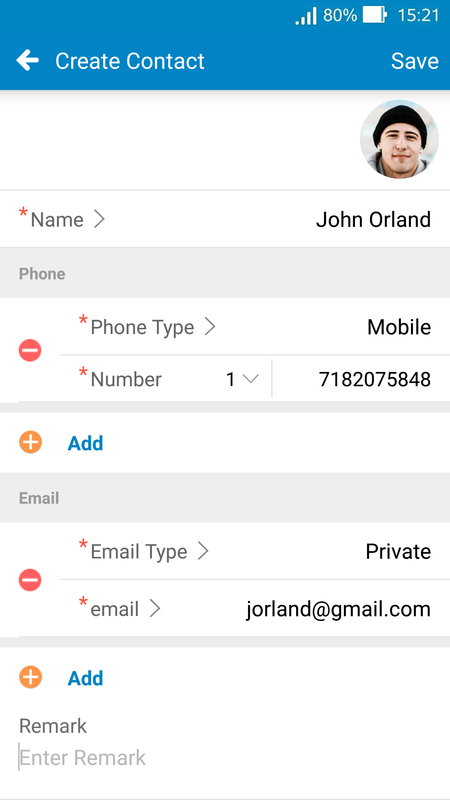 ♦ Import contacts from your mobile device to WorkDo CRM. ♦ Manage all your customer contacts in one place. ♦ CRM provides activity types such as task, appointment, email, call, SMS, deal, note and others. ♦ Keep a record of all the activities with the customer for better management. 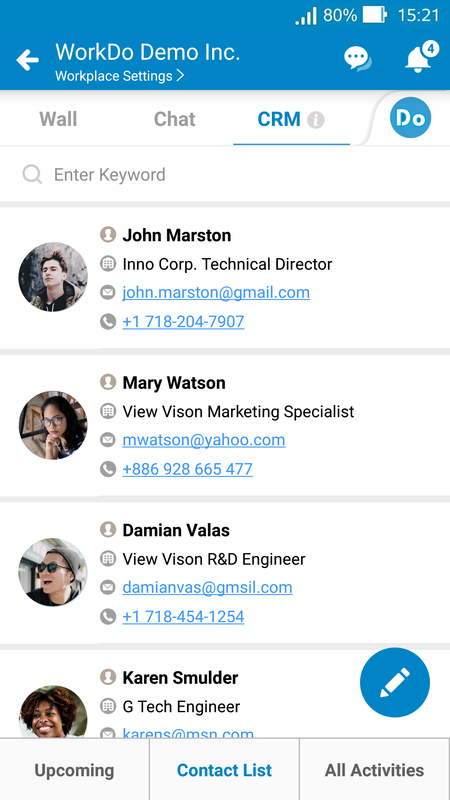 ♦ Managers and Tool Admin can view the contacts and activities. 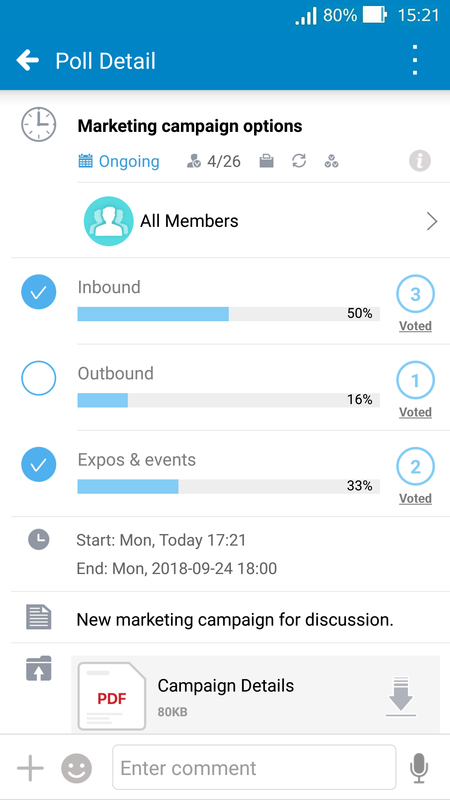 The dashboard is a one-stop shop for you to check out all the tasks, events, files, polls, approvals, leave and attendance status and records related to you within the community/workplace, across groups and between buddies. ♦ The dashboard has everything related to you within the community/workplace and across groups and buddies. ♦ The dashboard has its own Wall, Calendar, Tasks, Events, Files, Polls, Workflow, Leave Overview, Attendance, Workplace Statistics and Moments with status so you can know everything quickly. ♦ The workflow contains everything that requires your approval. 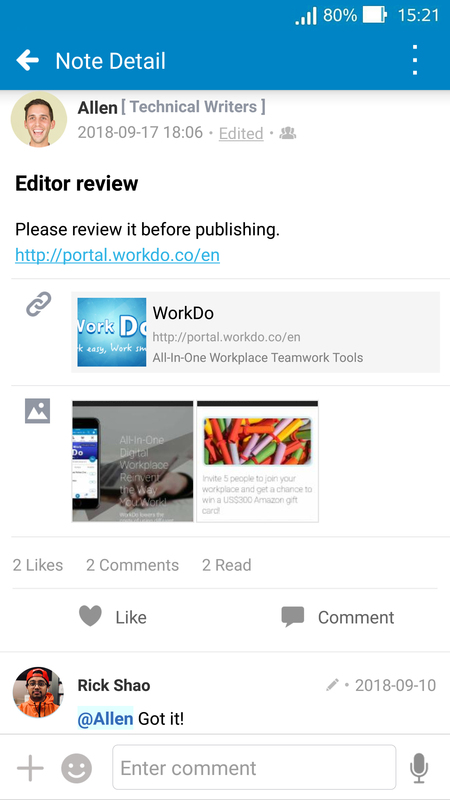 Wall is a one-stop-shop for all posts within the community/workplace, group or buddy. You can create posts directly from the wall. Wall in Dashboard contains all the posts within the community/workplace and across groups and buddies for you to check quickly. ♦ Community/workplace, groups and buddies all have individual walls. ♦ Dashboard Wall allows you to view all the posts related to you within the community/workplace and across groups and buddies. 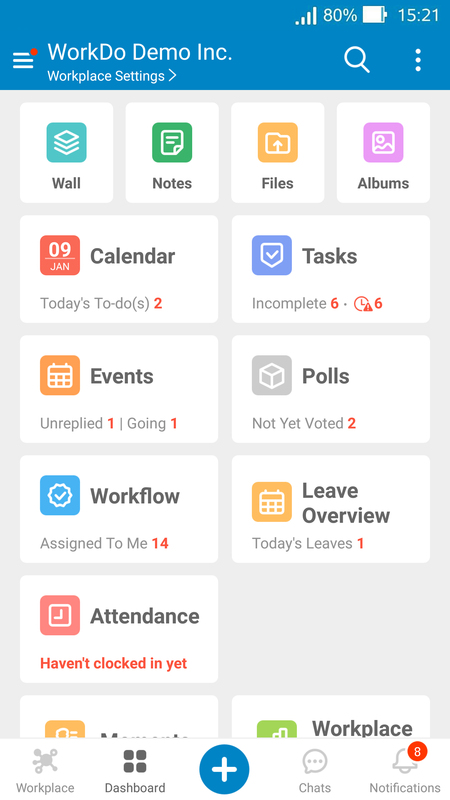 ♦ Wall contains all tasks, notes, events, polls, albums and files. ♦ Directly add new posts from the + button at bottom right. ♦ Pin up to three posts you want all members to see first. ♦ Advanced search by keyword, type, edit time and creator. 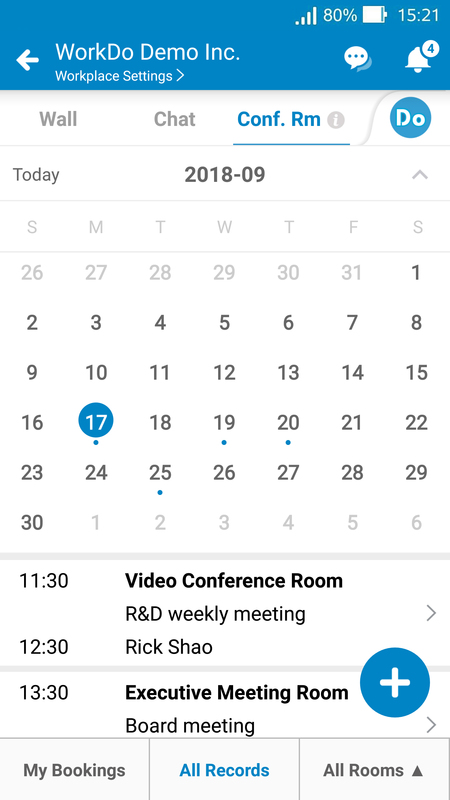 Like a personal assistant to help you get organized and stay on top of your day, Calendar in Dashboard shows everything you need to complete, attend or do on the day and in the future. Never miss a thing again! ♦ Click Dashboard then go to Calendar to quickly check your day. 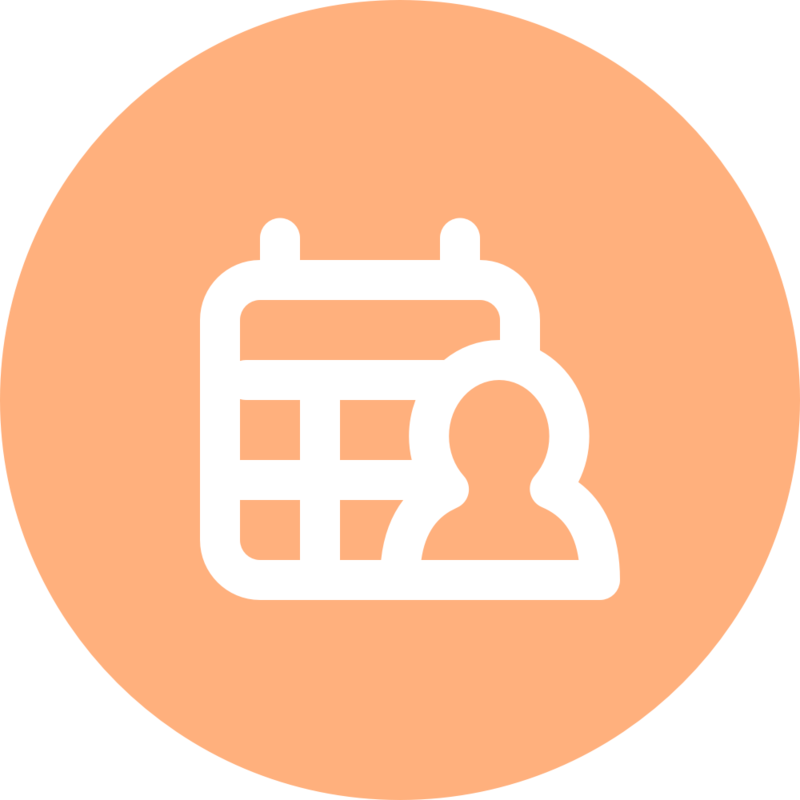 ♦ Calendar in Dashboard has everything related to you within the community/workplace and across groups and buddies. ♦ See all the tasks, events, polls and company calendar events on the day with one glance. ♦ Keep track of things to come. ♦ Integrate service calendar feed to other calendars. Workflow in Dashboard shows everything that requires your approvals from project requests, expenses to leave requests. Batch approve/reject is easy and saves plenty of time! ♦ Click Dashboard then go to Workflow to quickly check the requests that require your approval. ♦ Process approval requests, leave requests, expenses and attendance appeals with one button. ♦ Requests are separated by Assigned To Me, I Processed and I Applied for you to locate a request easily. ♦ Requests listed by applied time for simple management. Share your precious moments and photos with your buddies using Moments! 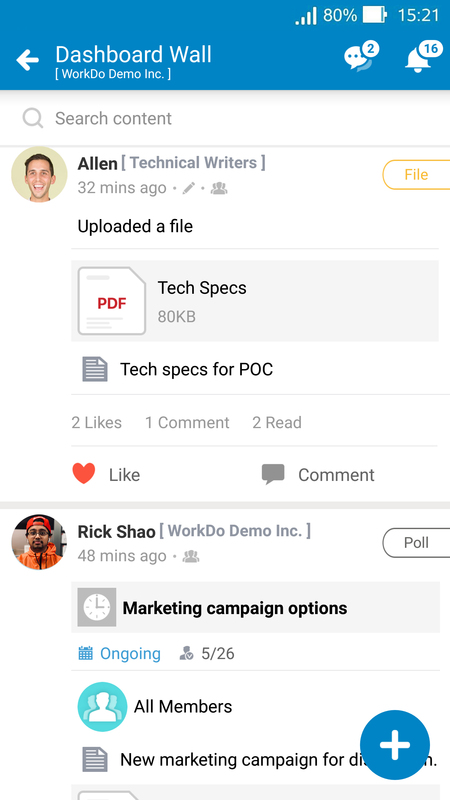 This personal social space allows you to post notes and upload albums for your buddies to like or comment! 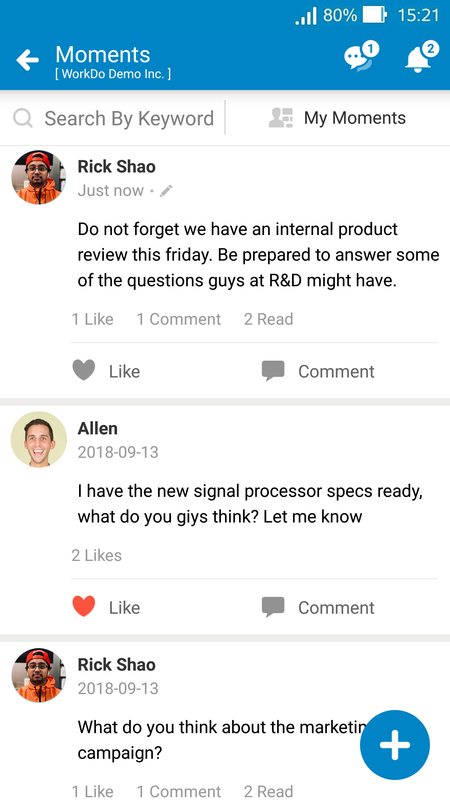 ♦ Post updates for your buddies to see. ♦ Create albums to save memorable experiences. ♦ Mention your buddies using @ in your posts and albums. ♦ See the posts and albums your buddies created. Conference room management is crucial for a business, because in a work environment, meetings, distant conference calls, team communication and project facilitation revolves around the conference room. ♦ Organize and manage conference rooms in different areas and add basic information such as name, size, equipment and hours of operation. ♦ Calendar view of bookings. ♦ All members can book conference rooms online. ♦ Link bookings with Events. ♦ Use the web interface to make recurring or consecutive bookings. Keeping all contacts for your organization can be difficult. Especially when some contacts need to be shared among all members. Use the Phonebook to stay organized! ♦ All members can view the records. 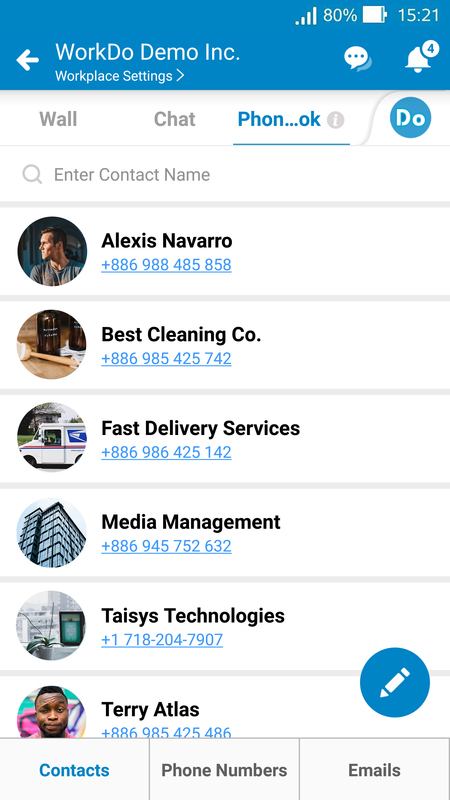 ♦ Import contacts directly from your mobile device to Phonebook. ♦ A single record can have multiple phone numbers and emails. ♦ Click the phone number to dial or email address to send emails intuitively. Tracking income and expense well can provide us with a sense of security and it is an important part of an organization. 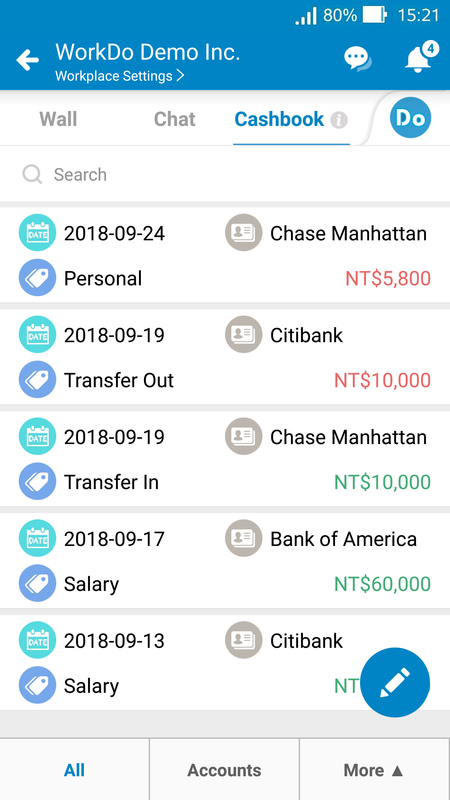 Stay organized with Cashbook! ♦ Provide default expense and income categories that you can add or edit. ♦ Set up multiple accounts. ♦ A clear list of every transaction. ♦ Members can add or edit transaction records. ♦ Statistic function available. Tracking all the IOUs is not an easy task. But it can be. 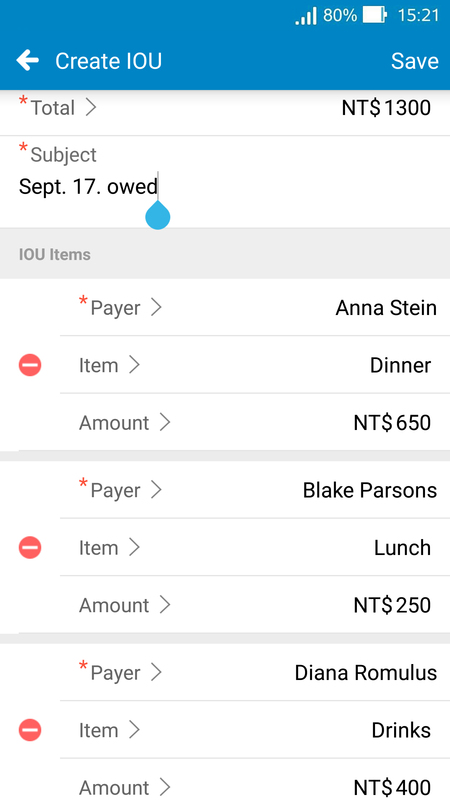 Use IOU to quickly calculate and keep track of all the payments of a split bill. ♦ Select payer and receiver. ♦ Automatically calculate each member's share. ♦ List out all payments and status of each. ♦ All members can track, manage and share an event expense easily. May it be group purchase, meal ordering or bulk purchase for a company event, use We Buy to start a deal and manage all the ongoing deals. ♦ Set deal end time without manual labor. ♦ Set the maximum quantity available for each item. ♦ The deal can be paused when there is a price change or when new items have been added to avoid order issues. 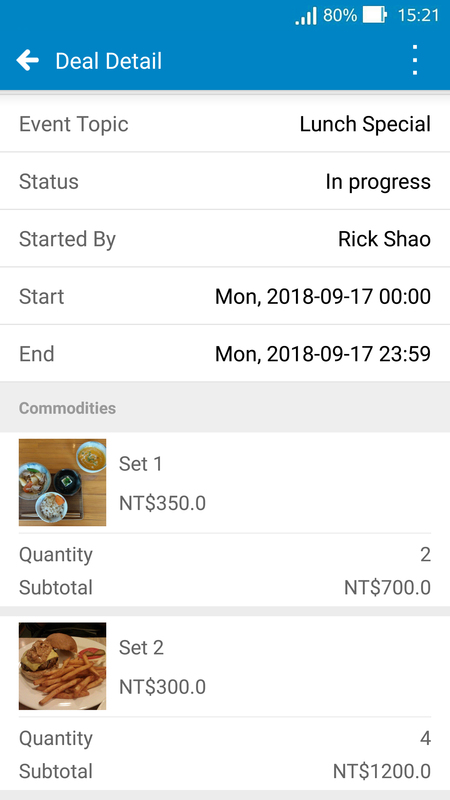 ♦ Automatically calculate each member's orders (quantity and cost). ♦ Automatically calculate each item's quantity ordered.